Gregory M. Hart, CFP® is the founder and managing director of Haddon Wealth Management, LLC, a registered investment advisory firm that provides comprehensive wealth management for clients nationwide. Greg delivers advice to his clients on various financial matters; but, in particular, he provides investment management and comprehensive financial and estate planning on a fee-only (no commission) advisory basis. The planning element often includes: a combined investment and retirement plan along with a year by year cash flow analysis, tax-minimization estate planning, social security decision analysis, education planning, and much more. 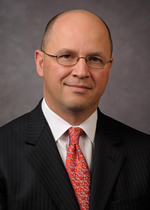 A native of Southern New Jersey, Greg began his financial advisory career in 1991 when he started as an advisor at CIGNA Financial Advisors, in which he worked with high net worth individuals, primarily owners of small businesses, in the development of their financial planning, estate planning, business succession planning and investment management. While Greg received excellent training in various financial disciplines, representing an insurance company created a frustration as the answer to most all client solutions was an insurance policy! In 1995, and for almost the next 20 years, Greg worked for major asset and wealth management firms, including First Union (now Wells Fargo), BNY Mellon, and PNC Wealth Management, where, for the last ten years, he was a Vice President and Senior Investment Advisor. It was through these years that Greg advised clients with net worths of $1,000,000 to over $100,000,000 on an overall wealth management basis. During this time, he gained invaluable experience especially in investment management by managing large sums of money in various investment vehicles including individual stocks, bonds, mutual funds, ETFs, as well as alternative assets such as hedge funds and managed futures. Also, on occasion, options were used to provide additional income or provide a strategic plan around a specific asset. Also, Greg developed a keen sense of managing assets in a tax efficient way, whether that meant minimizing income taxes, avoiding capital gains tax, or setting up an estate plan to help clients avoid paying unnecessary taxes. Throughout his career, Greg has worked through, and developed, high-end estate planning, retirement planning, and trust management, at times acting as both a trust administrator and a trust investment officer. In 2003, Greg earned his Certified Financial Planner™ (CFP) designation. As the years went on, Greg became frustrated with the big firms fractured method of delivering advice to clients and the ever-increasing fees that went along with it. Clients began sharing the same frustration. In the past few years, Greg began to formulate his vision of starting a private wealth advisory firm, and in 2015, Haddon Wealth Management, LLC was born. On a personal basis, Greg was born and raised in Collingswood, NJ, and has been a long time resident of Haddon Township, NJ. 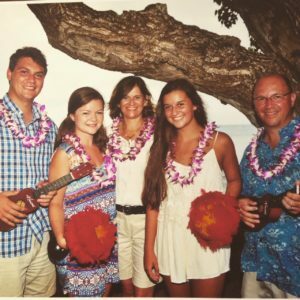 He is married to his bride of over 25 years, Wendi, and they have three children: Drew, who is a graduate of the University of South Carolina and now lives in Chicago; Kerianne, currently a senior majoring in Business at Cairn University; and Karlee, a senior at Haddon Township High School. The family dog, Selah, is a chocolate Labrador who keeps everyone busy at home. Greg attended West Virginia University earning his BS in Business Administration in 1985. At West Virginia, Greg was a member of Phi Sigma Kappa fraternity, where he served as Vice-President. Greg has served his community in many ways over the years. He is a former elder of Ashland Evangelical Presbyterian Church in Voorhees, NJ and he was also church treasurer there for several years. 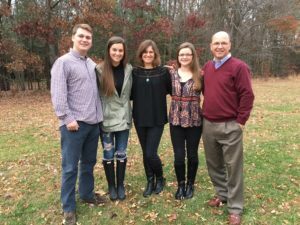 Greg has been actively involved in youth sports by serving in the Haddon Township Athletic Association (HTAA) since 1998, where he has coached various sports such as football, soccer, baseball, softball, and basketball. Greg also served as President of HTAA basketball for several years. Greg’s hobbies include sailing his 30+ year old sailboat out of Worton Creek on the Chesapeake – unfortunately not often enough! Also, Greg is an outdoorsman at heart. He has climbed three 14,000 peaks in Colorado, as well as made an attempt to climb Mt. Rainier in Washington – ask him about that trip! Finally, Greg enjoys running to stay healthy and has completed five marathons, his latest being the Chicago Marathon in the fall of 2017. He still thinks he has at least one more in him.